They say that practice makes perfect, and this certainly holds true for learning the English language. This Fundamentals of English Grammar course offers a comprehensive review of the rules of English grammar and is ideal for those who already have a basic understanding of the English language. If you want to improve your English writing skills as well as your spoken English, this free online English grammar course will give you a real boost. If you are still not confident with your written and spoken English, don't worry. 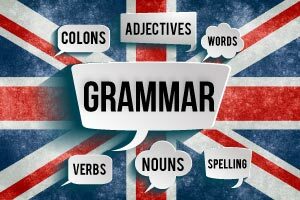 Using perfect English grammar and spelling out English words correctly is easy if you regularly do English grammar exercises. With this online course, you will review all the English grammar rules, practice spelling English words, and learn the correct use of punctuations. Soon, your English will flow naturally, which will be a great boost to your personal and professional skills. This English grammar course will refresh your memory with the correct usage of punctuations including full stops, commas, semicolons, and apostrophes. Topics on nouns, verbs, adjectives, adverbs, prepositions, and pronouns are also included in the course outline. This will help you speak English with confidence even before you finish the course. This Fundamentals of English Grammar online course is designed to help you master English grammar rules and speak English fluently. Whether you are a new English language learner or an advanced English student, we have built this course to make the learning process interesting and fruitful. So check out the course and join thousands of students who are improving their English as we speak. After completing this course you will be able to: - Understand the rules of English grammar and be able to communicate more clearly; - Improve your spelling and knowledge of punctuation, including full stops, commas, semicolons, colons, apostrophes and more; - and understand the meaning of nouns, verbs, adjectives, adverbs, prepositions and pronouns.